Nestled in the far north-western mountain ranges of Vietnam, Sapa Valley remains as one of the last regions where the indigenous way of life continues to flourish within the country. While the doors to international tourists was officially opened here in 1993, tourism seem to have taint very little of the way people lived at this highland destination in the last 18 years. Infrastructure and attempts at urbanisation remain unpolised and many of the native population still don their traditional costumes, which has a certain blast-to-the-past charm for a seasoned city-dweller like me. 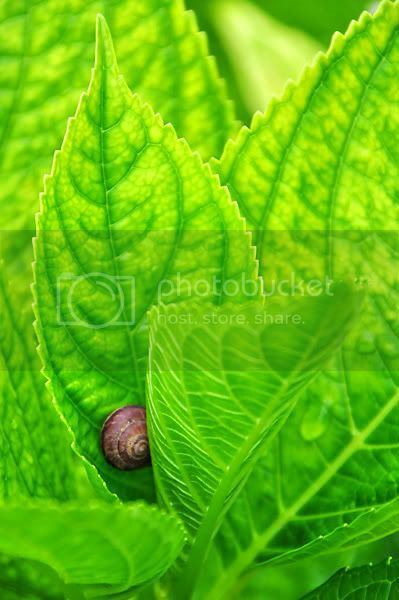 I am a snail, snug and comfy in my urban shell; till I pop out my head and taste the refreshing embrace of nature's lush green quell! Really enjoyed waking up to misty mornings and not greeted by blocks of flats. Slow, deep breathing highly recommended here! 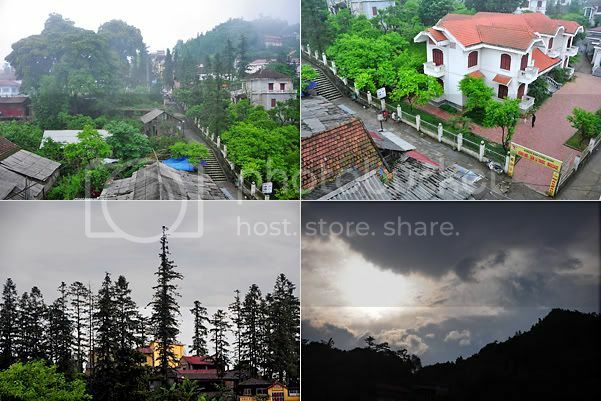 A former French military debarkation center in the late 1880s for the colonists to escape the heat of the lowlands, Sapa Valley is an important town of the Sa Pa District in Lao Cai Province. 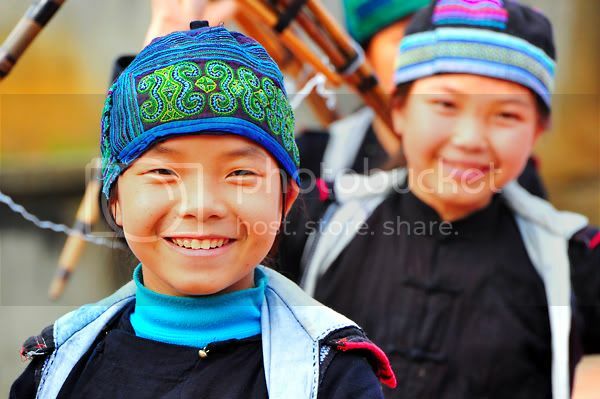 Its inhabitants are dominated by descendents of the Black Hmong tribe with the Kinh (the majority ethnic group in Vietnam) and a few other smaller ethnic minorities making up the local demographics. It is a quiet little town linked by a few dirt roads to the surrounding farmlands. Due to its cool weather and winding country terrains cutting across photogenic rice terraces and rustic villages, Sapa Valley is fast becoming a hotspot for trekkers. 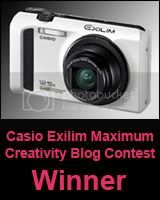 I signed up for this trip with SGtrekker following the lead of my photography kakis without knowing what I'm in for. I thought it was just Hanoi and when I saw Sapa Valley in the itinerary closer to departure, I wasn't prepared that we had to take an overnight train to get there. I can't remember when was the last time I took a train, let alone an overnighter. So, how was the experience? Can one actually sleep on the metallic speed worm? Was it any fun? To get to Sapa Valley from Hanoi, we took a train at Đường sắt Việt Nam Railway Station (Ga Ha Noi) to Lao Cai followed by a minibus bus ride to the highland destination. 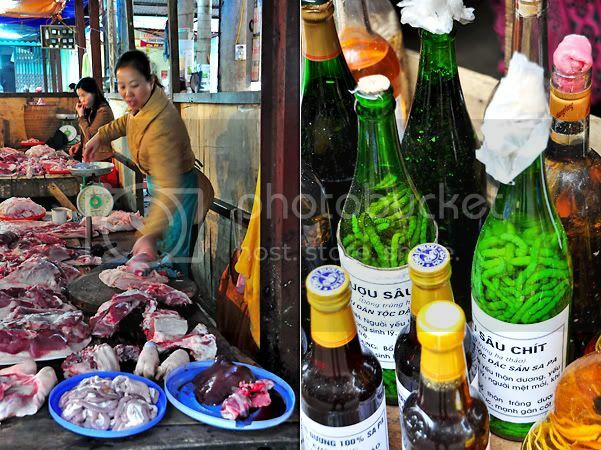 Lao Cai is the gateway to the Sa Pa region and also Bac Ha Market. SGTrekker organised the whole trip so I do not have actual unit price info. 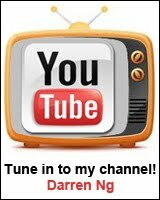 All the costs I listed here are what I managed to piece together from online searches. 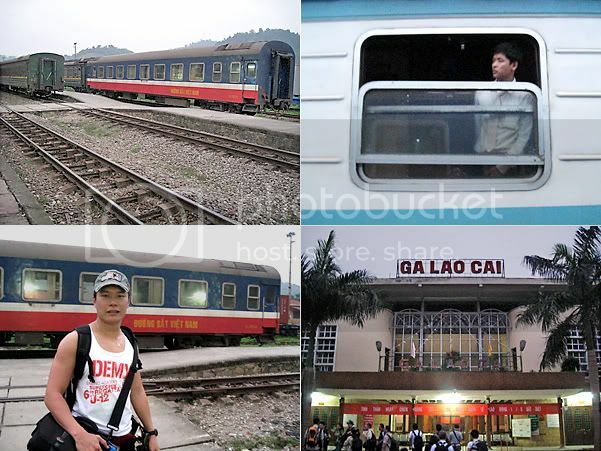 Several train companies offer sleeper rides from Hanoi to Lao Cai. 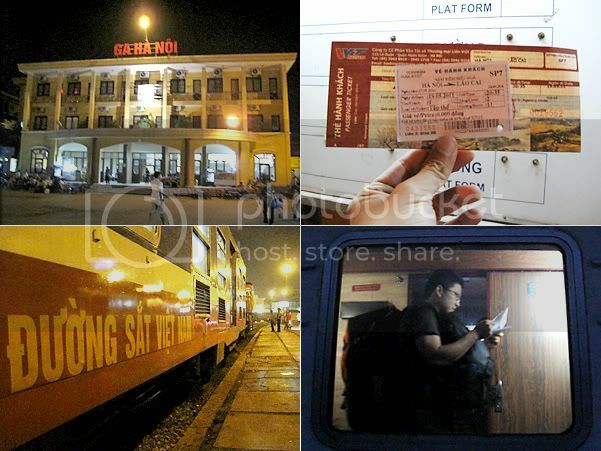 We took the Livitrans Express Train with 4 berths / beds and our train departed from Hanoi at 8:35 pm and arrived in Lao Cai at 5:00 am. The trains depart on time so be sure not to be late. If there are less than 4 of you travelling and you find empty beds in your cabin, don't start extending your sleeping territory as yet. 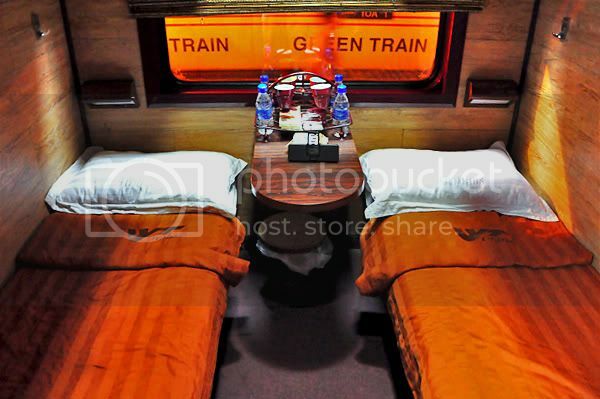 There are several stops along the way and the train could pick up more passengers that could be your cabin mate/s. Finding your train can be a little confusing as after you pass the ticketing check, there aren't many clear directional signages. To find your ride, look out for signs with the train number stipulated on the ticket (ours was SP7). 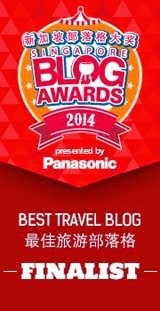 It is best to book your sleeper tickets online through ticketing agents as they are almost always sold out. A one-way ticket should cost US$35 so a return ticket will be around US$70. 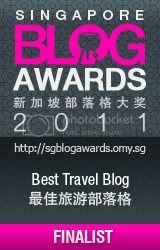 I found this site pretty helpful when looking for Hanoi-Sapa (Lao Cai) train schedules and fares - Train to Sapa. The 4-berth cabin is comfortable enough but if you're an insomniac like me, the constantly rocking will make falling asleep rather difficult. And pray your cabin mates don't form a nocturnal cacophony. I couldn't sleep the whole ride from Hanoi to Lao Cai despite me staying up the previous night too before coming on the trip. So by the time I reached Lao Cai, I had not slept for 2 days. 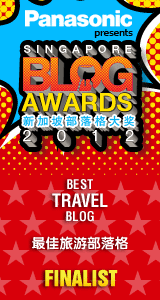 It's a bad thing Sapa is at the border of China. I was worried they mistake me for an escaped panda. 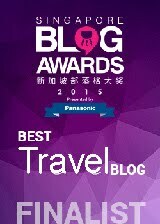 However, I slept like a baby on the train going back to Hanoi. I was really tired out. Onboard the train, there is a toilet at each end of a carriage unit and a shared vanity top for washing up. Once we exited the Lao Cai train station, there were a bevy of minibuses waiting to take tourists to Sapa Valley. Our transport was arranged but I read that you can get a ride for 25,000 - 30,000 dong (S$1.50 - 1.80) per person. That's the tourist price. Locals pay 20,000 dong (S$1.20). By the time I arrived at our hotel in Sapa Valley, I was at the brink of delirium from the lack of sleep and long rides. Thankfully, the temperature was cool but we're not getting any rest yet. Once we deposited our lugguages at the hotel, we were off on our trek to Lao Cai Village (see post following this one). 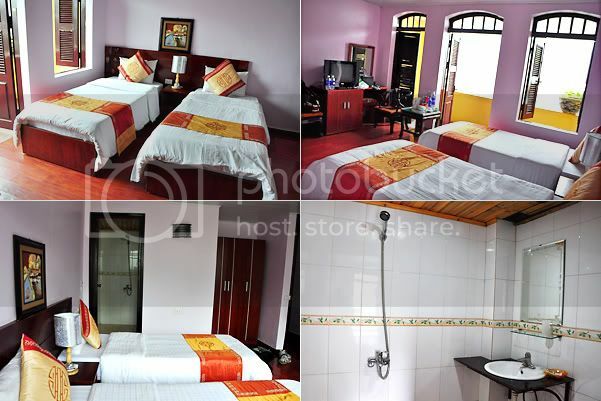 For 2 nights, we stayed at the Sapa Global Hotel which costs between US$20 - 45 a night (includes breakfast). The breakfast consists of a very simple spread and it's the same everyday - bread with butter and jam, fried noodles, fried rice, omelette, chicken pho and fruits. On the second morning, there was the addition of banana fritters and they were yummy! As 5 of us came on this trip, I was the odd one out and shared a room with one of the tour mates, Rictor. Let me tell you a secret about Rictor... he's an angel. In fact, all the people in the group were God-send. Everyone was friendly, willing to share and we bonded easily... like honey and maple syrup. Rictor and I were lucky to get the topmost unit which offered a vantage view of the surrounding area, but it meant climbing the stairs to get to the top as there are no lifts. 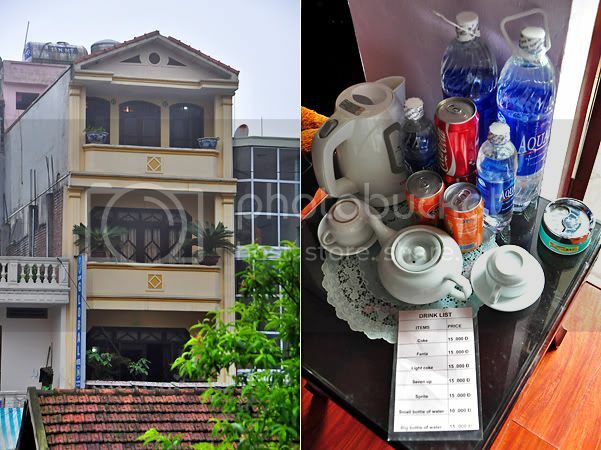 The hotel's set-up was very simple and I felt like I was staying at a friend's 4-storey bungalow. The room is clean and comfortable but not sound-proof as I could hear the conversations next door while Rictor probably wished he had the rooster that woke him up every morning for dinner. Bottled water, regardless of sizes, is chargeable. The room doesn't come with air-conditioning so we left our windows to let in the fresh air and occasional flying 6-legged friends. It felt really great waking up to the mountain view. Sapa Valley’s town centre is a small development with a few blocks of low-rise shophouses that lead to the town square and old church. There’s also a town hall, local wet market and several other posh hotels all within walking distance of each other. The best time to visit Sapa Valley is between March to May and August to December when it is warmer (15 - 20 degrees) and less rainy. 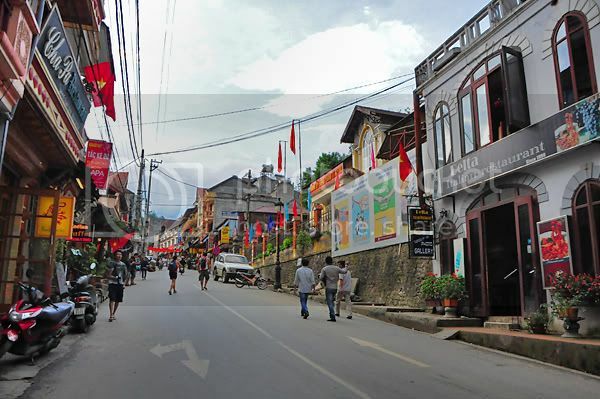 Several restaurants, cafes and bars run alongside the main road that links Sapa Valley to the foot of the mountain. After all the trekking, it's nice to sit down by a cafe to enjoy the cool weather over a hot cuppa. There are also quite a number of shops offering foot and body massages here. An hour's full body massage costs around 170,000 dong (S$10.20) some may charge 120,000 dong but the duration is only 45 minutes so you have to check. The massage parlours aren't big on ambience and 2 out of 3 don't have very clean beds. 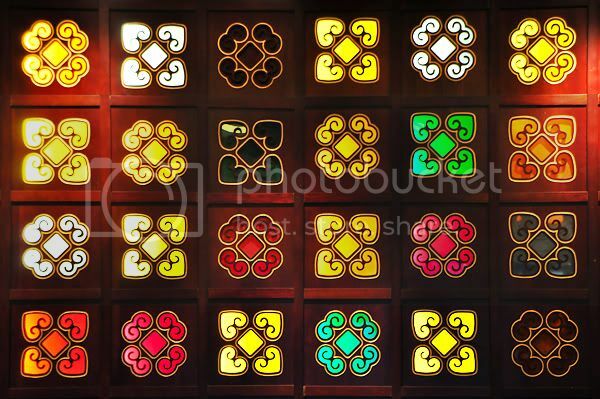 Colourful backdrop of lighted Chinese motifs at Ham Rong Hotel's reception. 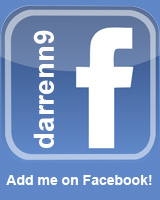 A massage menu with rates is available here. Rictor and I settled on the third which had the nicest atmosphere. 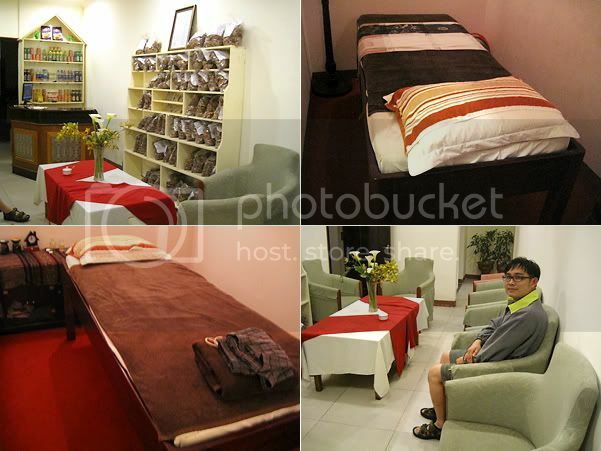 It is called Ham Rong Massage and it's located on level 2 of Ham Rong Hotel. We paid a premium of 300,000 dong (S$18) for a 1.5 hours massage. I chose the Ham Rong massage which was supposed to be a combination therapy of traditional Viet massage technique and reflexology. Although the rooms at Ham Rong Massage mimicked the relaxing ambience of mid-range spas with some success, leftover body parts of insects can still be seen on the pillow and bed. The towels and beddings also felt a little damp possibly due to the cold highland fog. The therapists were properly uniformed so they looked professional and you can choose between male and female. I chose a male therapist because I wanted a strong massage but he turned out to be just a scratcher. I hardly felt anything and I refuse to believe it's because I have thick skin. A check with my other travel mates who tried massages at different parlours also turned up the same verdict. So don't expect too much of the spa skills here. We didn't tip our masseurs at Ham Rong but do ask about tipping policies at other parlours. The tip can be hefty so be prepared to negotiate. 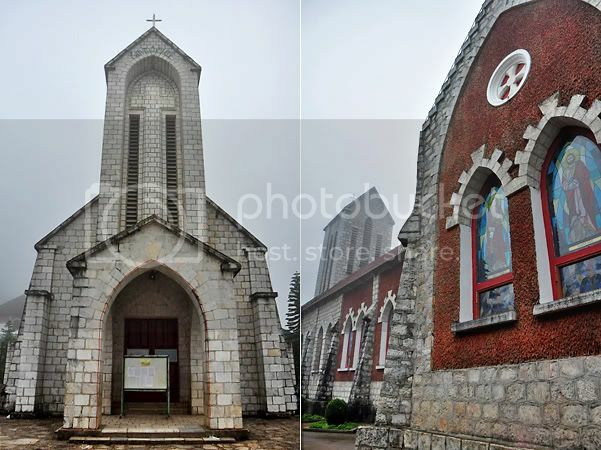 The most iconic and prominent building in Sapa Valley is the old Catholic church. It was built during the French's pressence around the 1880s with a decidedly carpenter-Gothic style characterised by the pointed arches, steep gables and a tower. 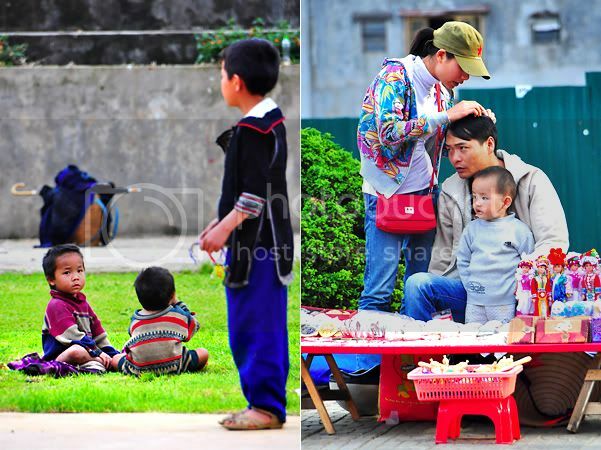 Churches are not very many in Vietnam as most of its people are Buddhists or practise a combination of Mahayana Buddhism, Taoism, Confucianism and ancestor worship. We are the PowHar Rangers (we are on this trip all thanks to Siow Har's initiation)! 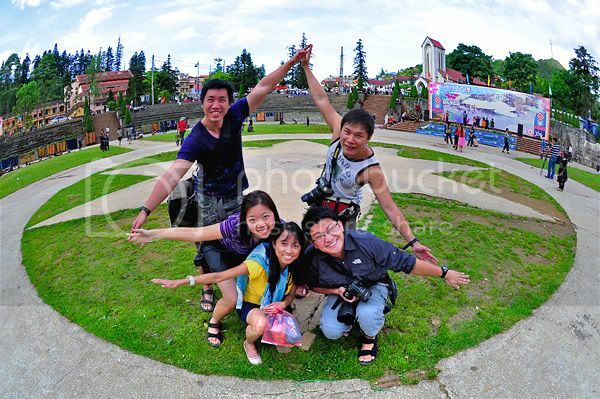 Here's us giving a star to the Sapa town square for being the most happening place in Sapa Valley. The red building on the left is the Town Hall while the old church sits on the right. The square is like an outdoor living room for the locals. I have no idea what sounvenir the woman is looking for, but I don't think I want any! Souvenirs are not exactly very cheap. In my opinion, the best buy at Sapa Valley are imitation The North Face jackets. I didn't bring any warm wear for the trip so I bought one. The asking price was 700,000 dong (S$42) but after some hard bargaining and walking away, I finally got it at 400,000 dong (S$28). Our visit on a Saturday coincided with an entertainment night at the square. Here are some kids (I think from the Zai ethnic group from their costumes) rehearsing for their performance, a folk song-and-dance number. The lyrics of the song sounded like a melodic repeat of 'lou shee fun' (老鼠粉) and 'chee cheong fun' (猪肠粉)! ﻿Other than the town square, the other hub of activity would be the wet market. It's petite in size but it is not short on surprises with an eclectic mix of meats, vegetables and other produce both familiar and peculiar on sale. I saw very small live crabs on sale possibly used as condiments crushed into papaya or mango salads much like the spicy Thai som tam. The chickens were all displayed with their feet up. I found them really comical, kinda like they were doing ballet in a reverse Swan Lake sort of way. 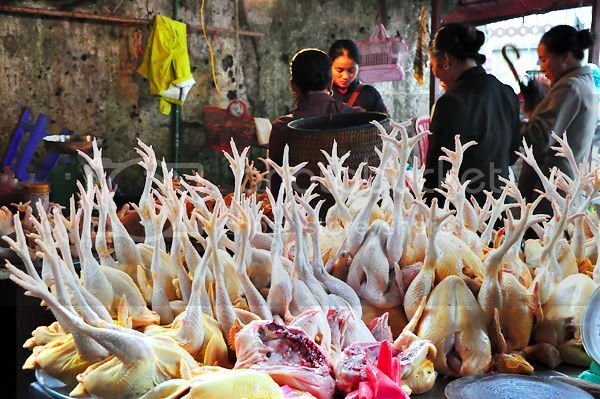 On both days of our photo trek in Sapa Valley, we passed by the market before taking different roads to the villages. It serves as a meeting place for the different villagers so quite a large gathering of the tribal folks can be found here. 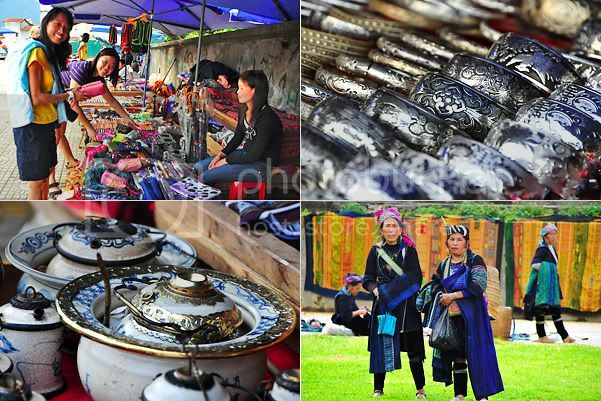 But mostly, you'll just see the unmistakable Black Hmong tribe who is so named because of the generally black colour of their costume adorned by colourful brocade and silver jewellery. Thanks for the helpful information ..... we are going to Hanoi next Tuesday and up to Sapa by the following Monday (28th).